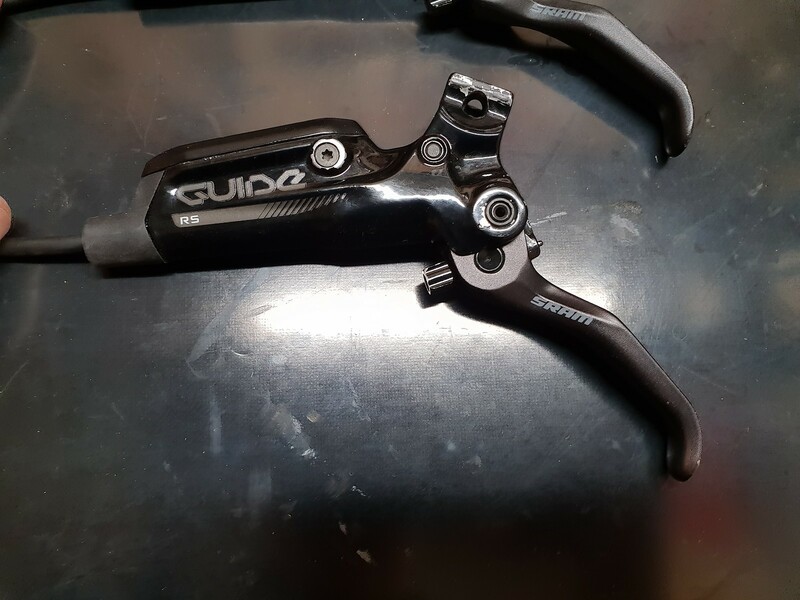 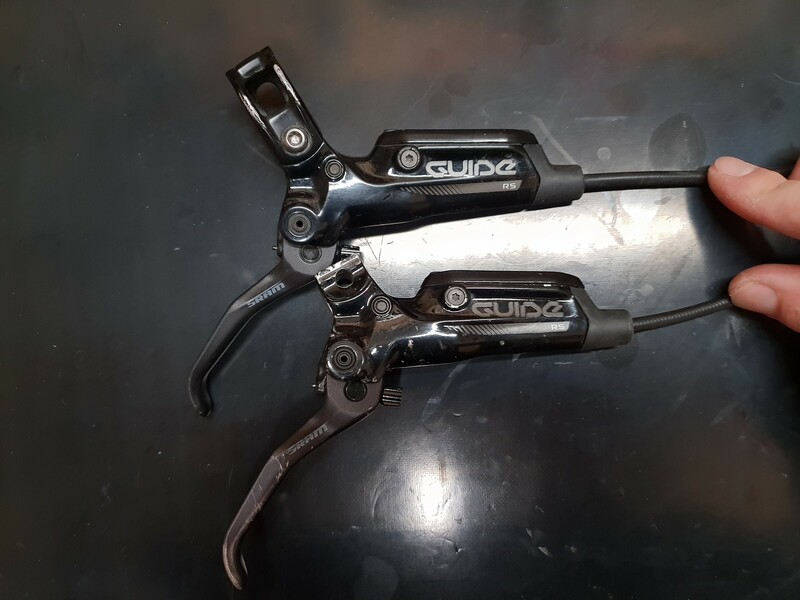 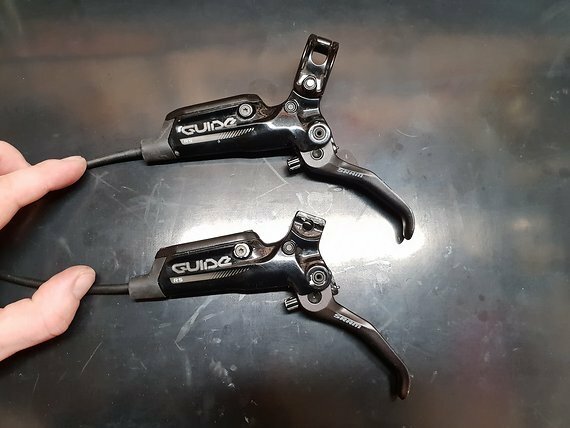 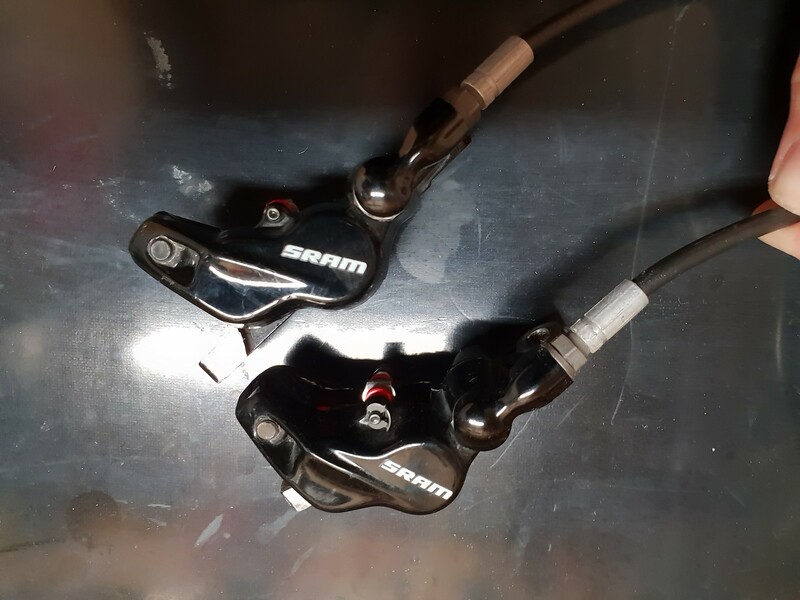 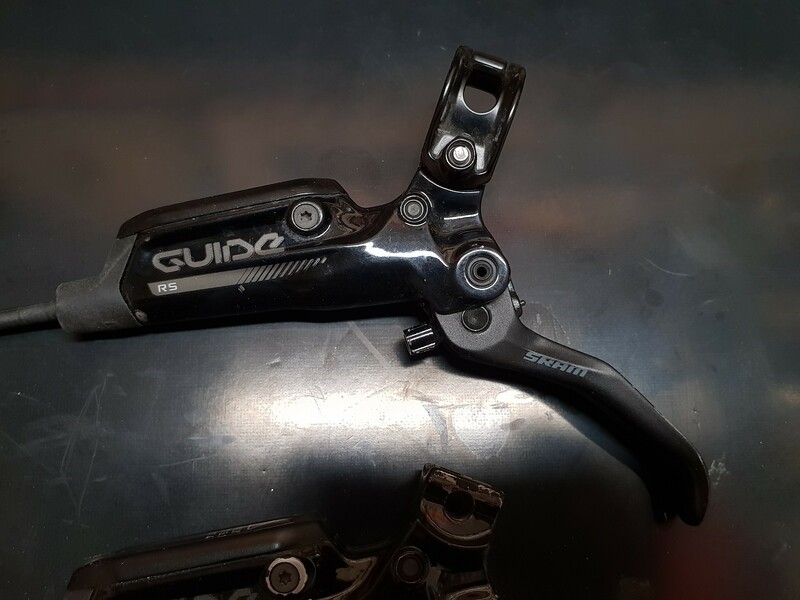 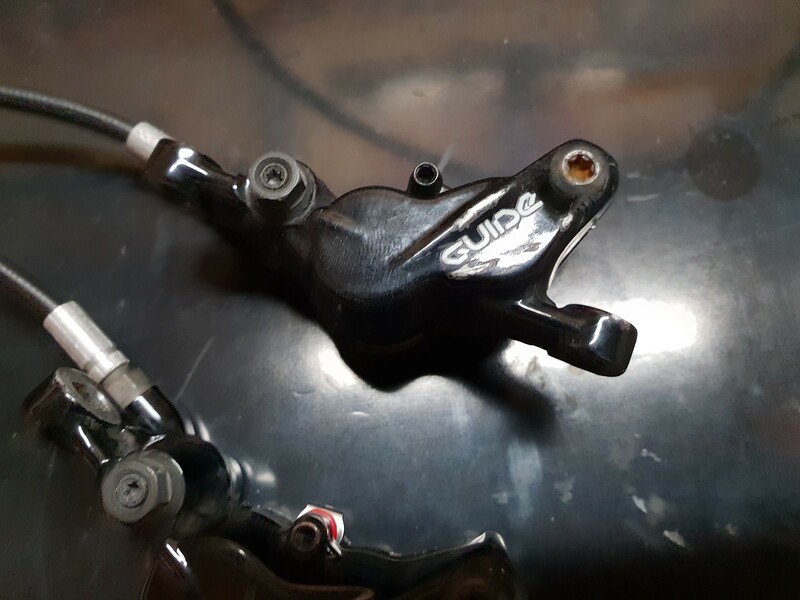 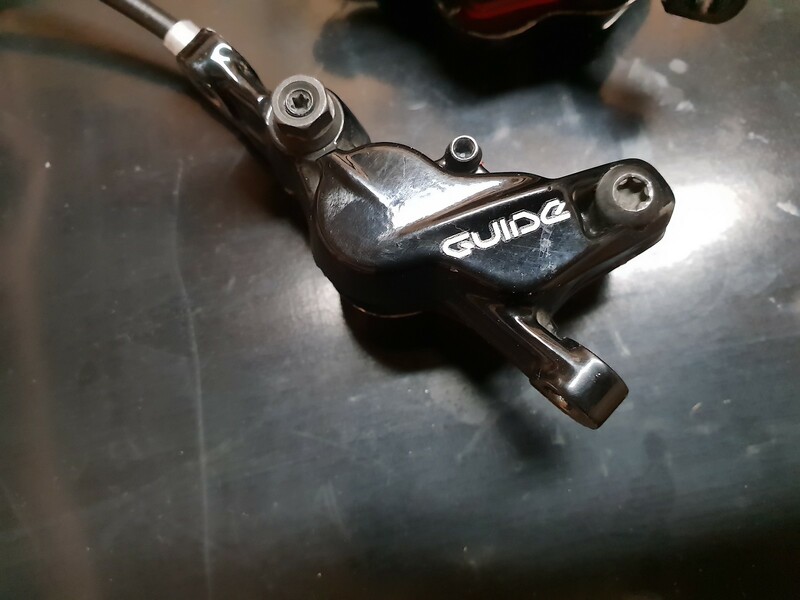 for sale Sram Guide RS front and rear brakes. 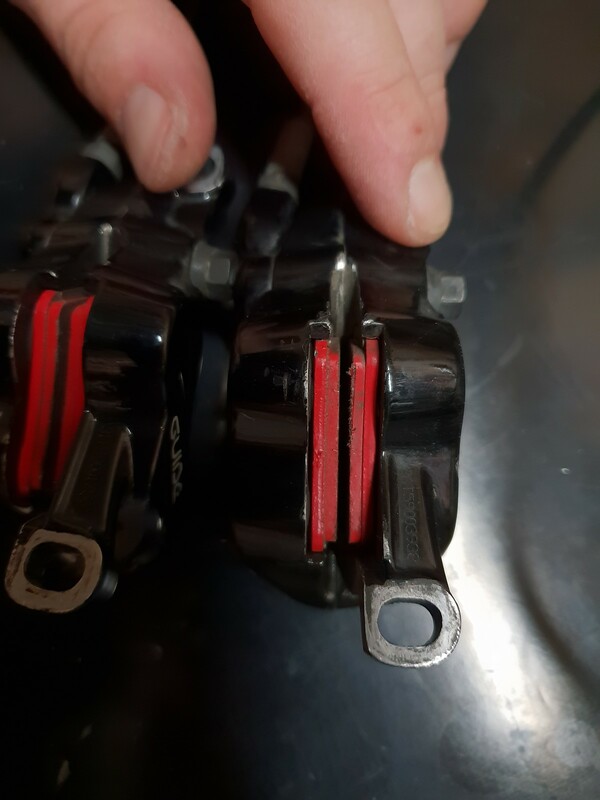 Brakes are used , visible sings of use...New pads are installed, they are bleed. 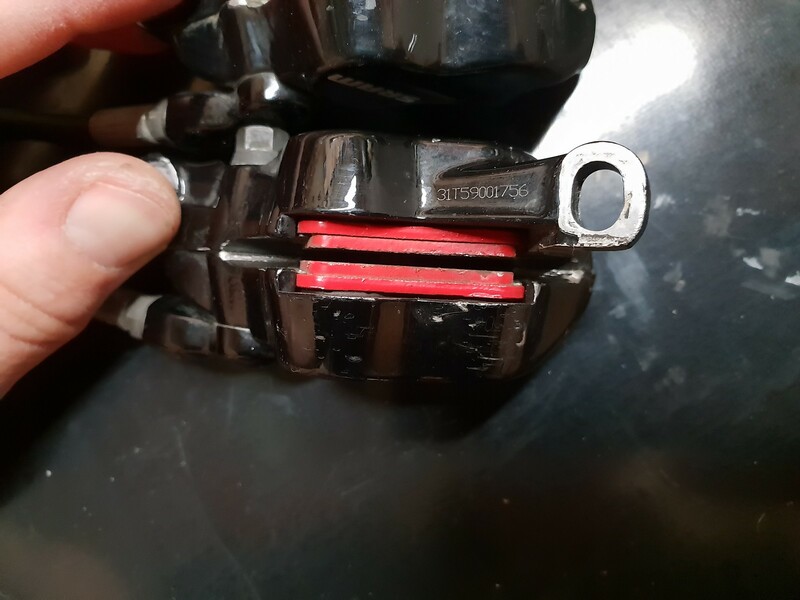 Front 78cm , Rear 141cm long hose. 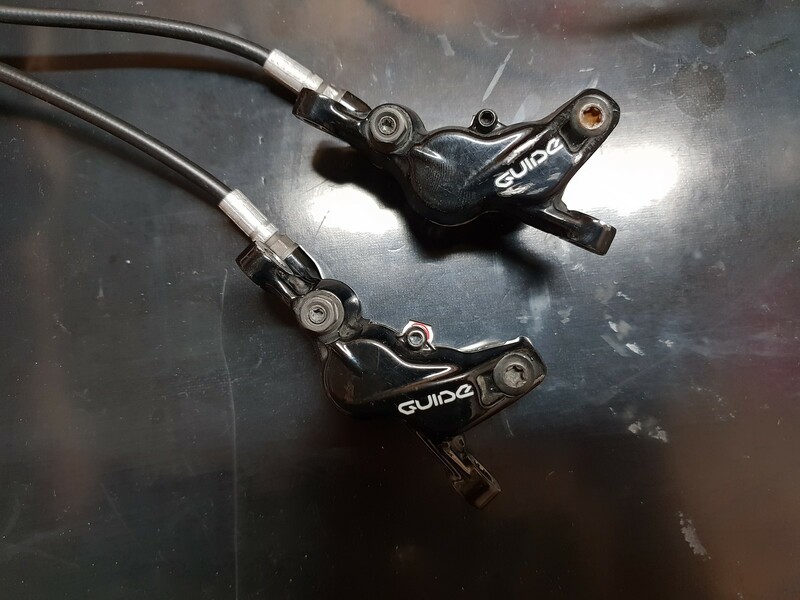 All is in photos , see them ! They come without disc rotors , and one clamp (reverb was installed).